We are proud to introduce you our 2017 ambassadors! Our goal is to promote good sportsmanship and encourage riders to pursue their goals. My name is Chloe Parker, I'm 17 years old. I started taking riding lessons at the age of 7 and began showing a year later. My first pony was Teletubby Express, I showed him in short stirrups and small pony division. I began showing in the jumper ring when I was 12 yrs old. My current mount is Sedona, which I began leasing when he was only 5. This is our 2nd year showing together and we are currently competing in the 1.20 division and the CET's! I have mostly shown on young horses, and my future goals are to continue developing my skills so I can compete in higher level classes. I am hoping to one day train in Europe to further my riding career. My name is Chanelle Leonard, I'm 18 years old. I've lived on a farm my entire life, riding since I was little. I currently coach at Levesque stables. My first pony was Freedom, an adorable little chestnut pony with a white blaze on his face. My current mount is Dare, a black mare I've been training. 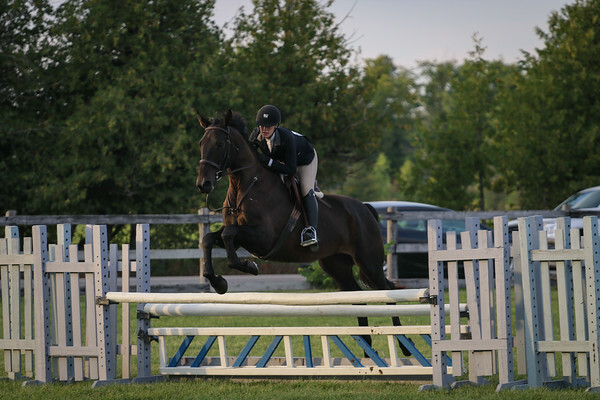 My goals for this summer and for the years to come, would be to move up to the 1.30m jumpers in the A circuit, and possibly qualify for the Royal Agricultural Fair.